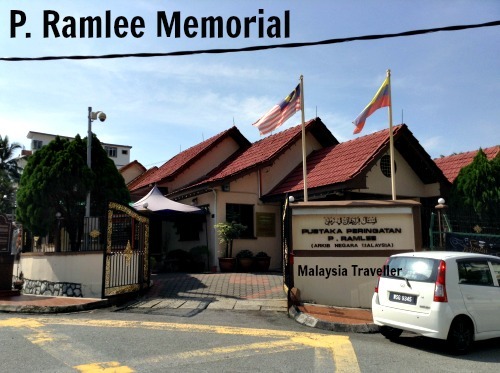 The P Ramlee Memorial Library is a museum in Kuala Lumpur established in 1986 to commemorate the life and achievements of one of Malaysia’s most famous and best-loved artistes, Tan Sri P. Ramlee who died in 1973. 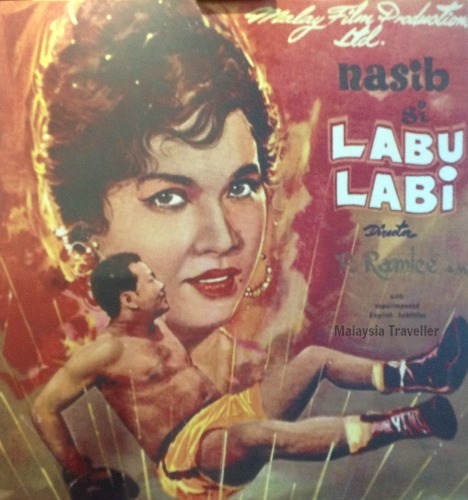 Ramlee achieved fame as a singer, composer, film actor, director and musician. ‘Merdekascope’ - Malaysia’s own cinematography system! 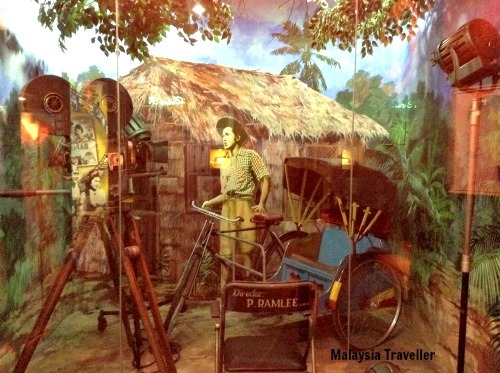 The museum, officially known as Pustaka Peringatan P. Ramlee, is located in Ramlee’s former home and contains his awards, musical instruments, documents and personal artefacts as well as displays of the various films in which he was involved. Details of his childhood, parents and schooling in Penang are exhibited together with photos of his first band in the 1940s. The dining room where he composed many of his songs has been preserved largely as it was. P Ramlee was married in 1961 to a singer called Saloma after two earlier marriages had ended in divorce. 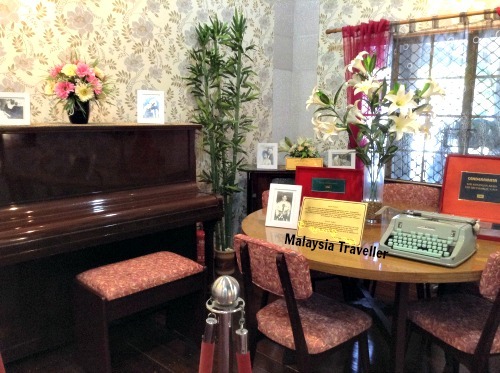 A sweet love letter written by Saloma to Ramlee is displayed. Interesting that it was written in English. 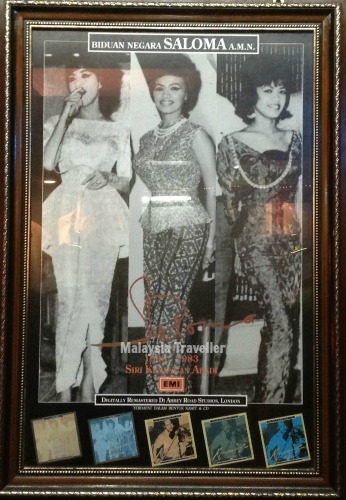 Photos of Saloma are also on show which show how ladies’ fashions have changed in Malaysia since the 1960s. Not a tudung in sight! In front of the museum is P Ramlee’s last car, a Datsun with licence plate number BAD 3608. 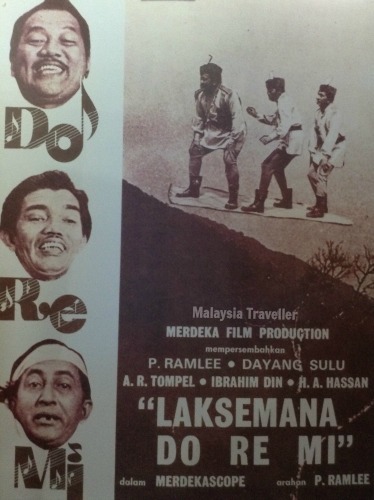 There is also a bicycle trishaw which was featured in the first film directed by Ramlee in 1955. I was not very knowledgeable about P. Ramlee before visiting this museum but it was interesting to learn about his involvement in what was a golden period of Malaysian cinema. Worth visiting. Friday 9am to 12pm / 3pm to 5pm. At the small gift counter inside the museum you can buy DVDs/CDs of his music and films together with souvenir items such as T-shirts, mugs, key-rings, hats and so on. Address: No.22, Jalan Delap, Taman P. Ramlee, Setapak, 53000 Kuala Lumpur. There is no car park but spaces are usually available in the street outside.